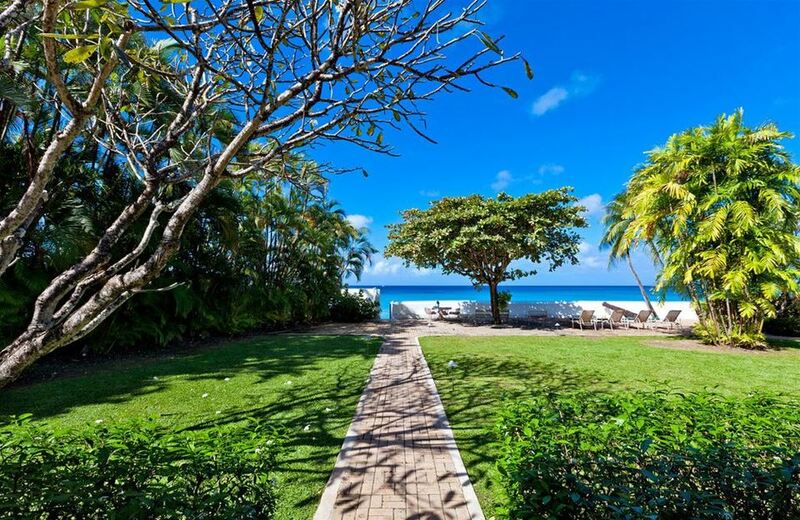 Villa High Trees is located on the popular and well-known Gibbes Beach on the west coast of Barbados. 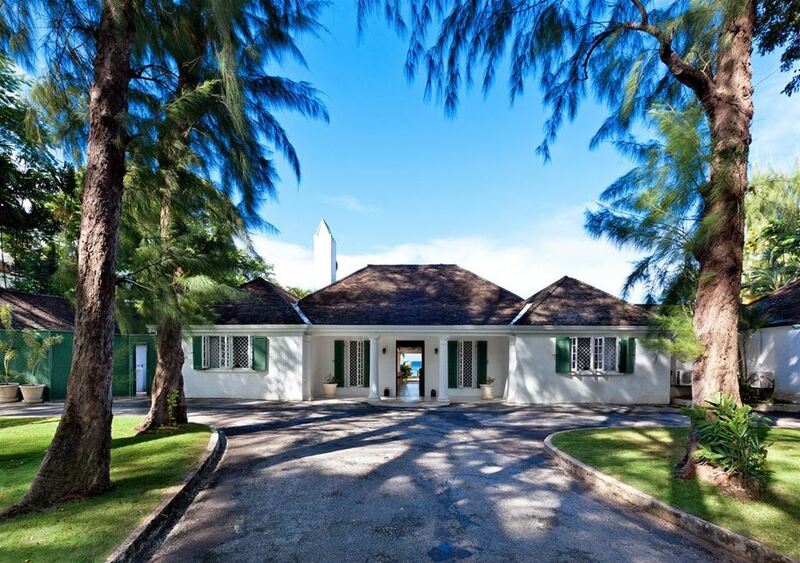 At just a 5 minute drive to the exciting Speightstown and within walking distance of Mullins Beach, this property is a fantastic choice for any Bajan retreat. 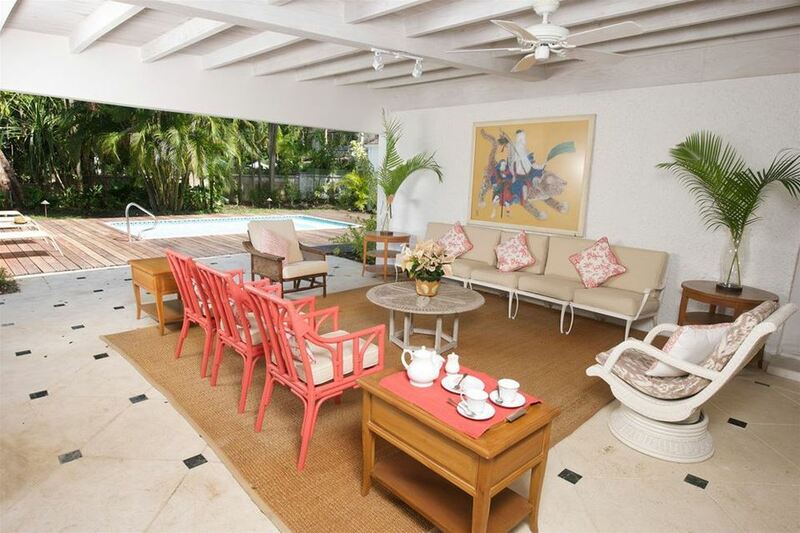 The beautiful villa High Trees has been recently renovated to a fantastic standard and is situated at the end of a shaded semi-circular driveway. Located at the centre of the villa is the indoor seating area complete with French doors leading onto the covered patio. 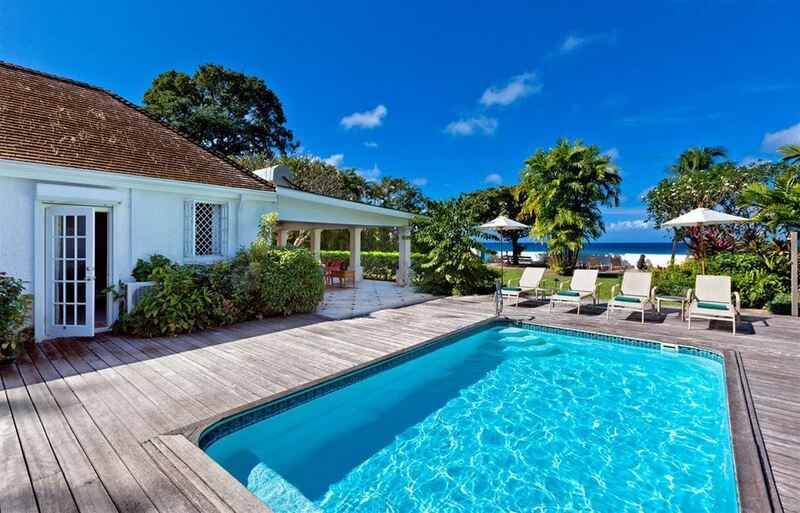 Guests can relax in peace here with a colourful Caribbean drink or venture just a few steps to the spacious wooden decking surrounding the swimming pool. 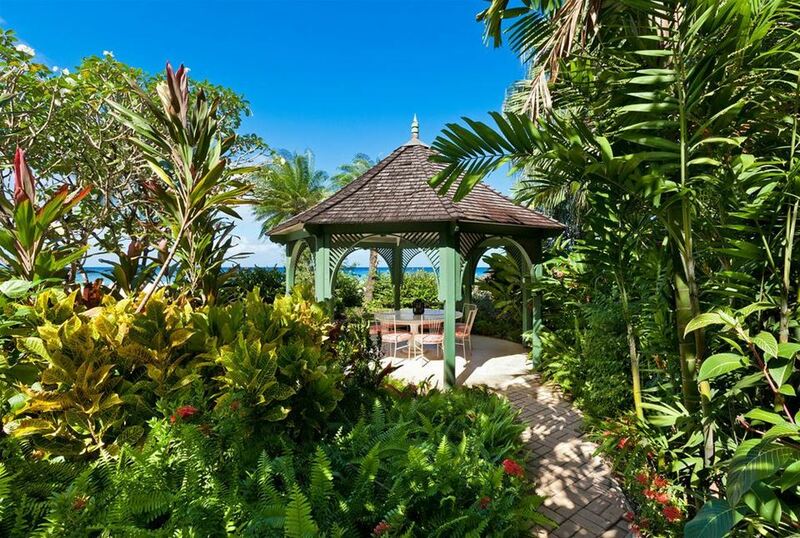 A pathway leads through the lovely gardens to a second decking area on the beach. 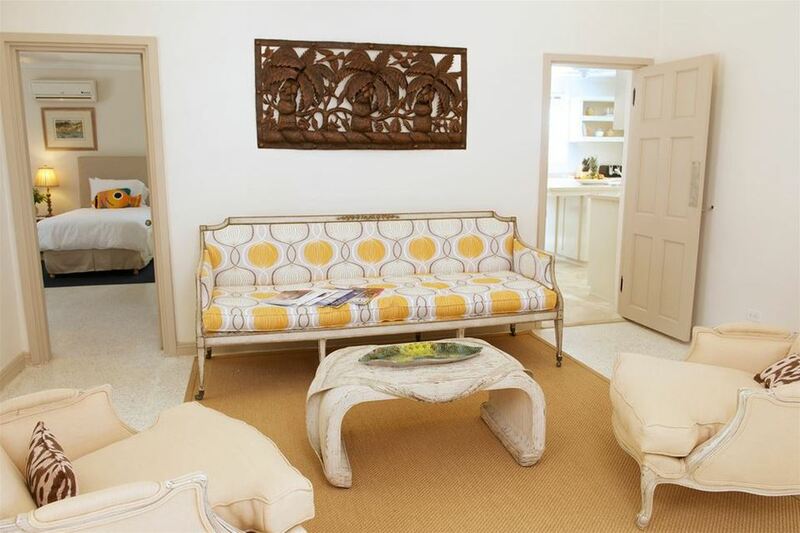 All 4 of the wonderfully decorated bedrooms are air conditioned with en-suite bathrooms. 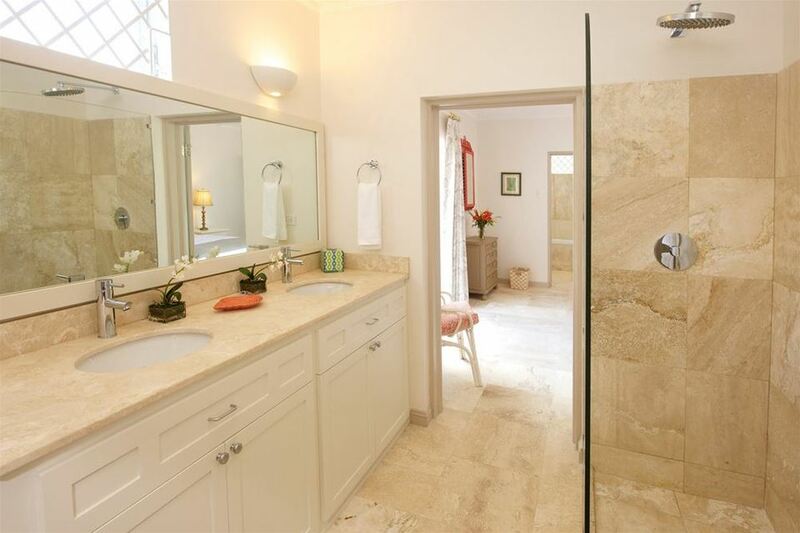 The master bedroom features a wet room inside its bathroom as well as direct access to the sun deck. 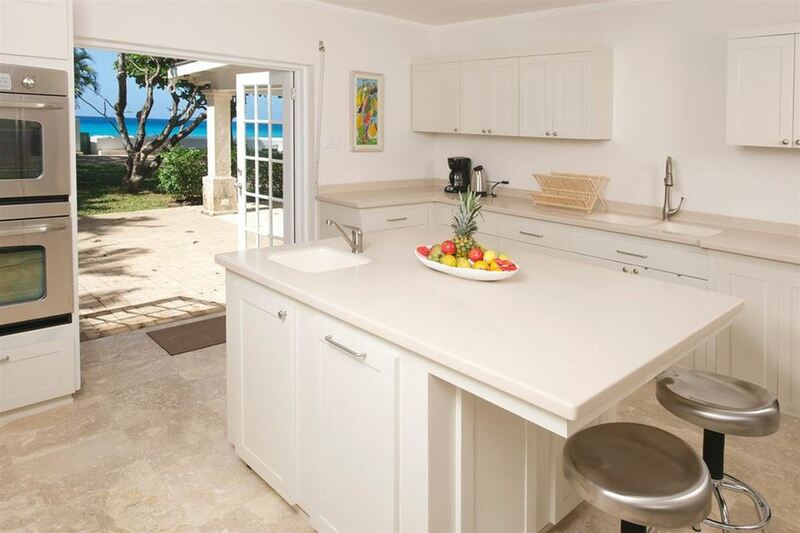 The large equipped kitchen is located by the entrance foyer and also includes French doors leading to the terrace.